Did Chris Bosh’s Mama Turn His Texas Home Into the Trap? No words for this so we’ll just present the facts as we know them. And honestly they seem a little sketchy to this reporter. On Tuesday, police sent an undercover agent to the Texas home of ex-NBA baller Chris Bosh, to grab a trash bag in an undercover crack cocaine and heroin trafficking ring sting operation. When DeSoto Police sifted through the garbage for evidence, they allegedly found “tons of evidence,” according to TMZ, including baggies with cocaine residue, weed paraphernalia, burned joints and mail with Bosh’s mother’s name (Freida Bosh) on it. USA Today reports that police raided the home Friday morning on the tip that “a large amount of vehicle traffic was coming and going from a house” and that sources had observed several “hand to hand” drug type transactions occurring outside the residence. No arrests have been made yet, which is another interesting point, but police tell TMZ that one of the suspects was once arrested for allegedly shooting a guy in the face during a drug deal. Chris Bosh is not suspected of any wrongdoing and his only real connection is the fact he owns the property. But his mama, Freida, who was also named as a suspect, might not be as lucky when it’s all said and done. 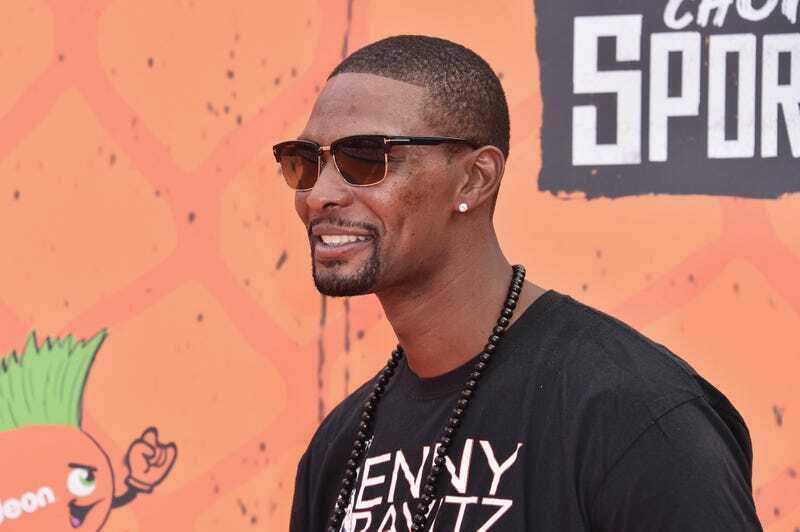 A home owned by Chris Bosh was the target of a police drug trafficking raid, TMZ Sports has learned.